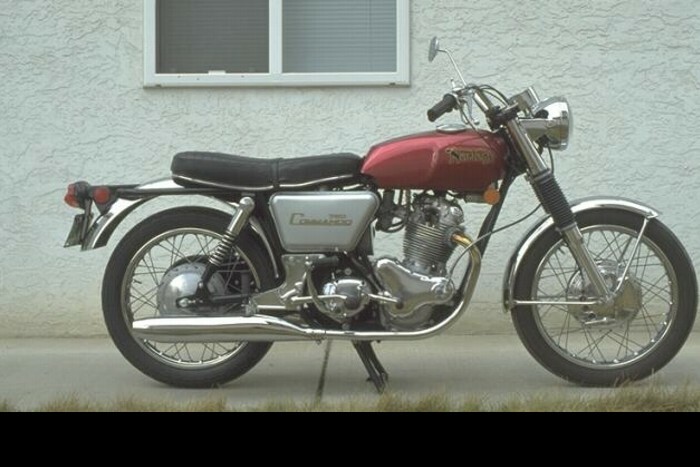 Although the first Commando appeared in late 1967, it was not called the Fastback until other Commando models appeared. The early Commandos proved to have weak frames and the design was soon modified with an extra bracing tube to the headstock which solved the problem. 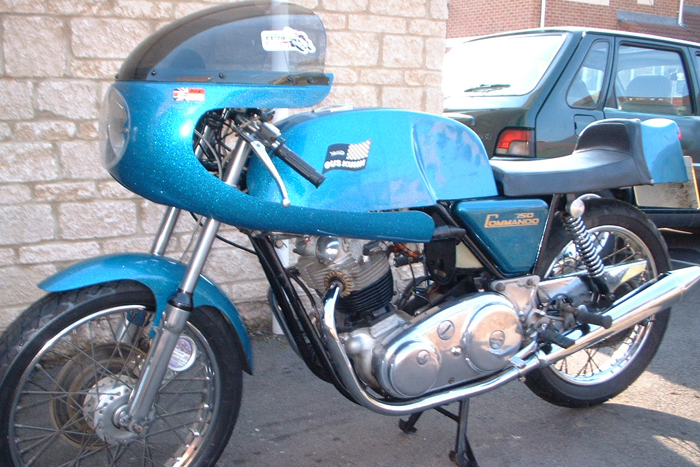 A restyling exercise in 1970 saw the Fastback Mk.ll with upswept exhausts, reverse cone pipes replacing the Atlas type ones used up to that point. 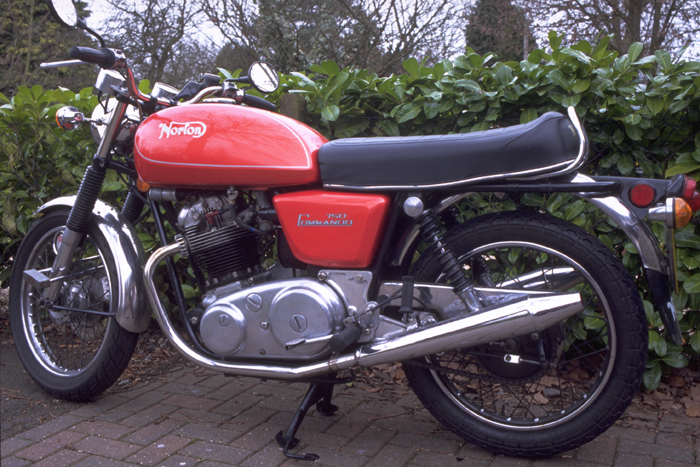 Only four months later, the Mk.lll arrived on the scene, with several changes including modified centre and side stands and a wider section front tyre. 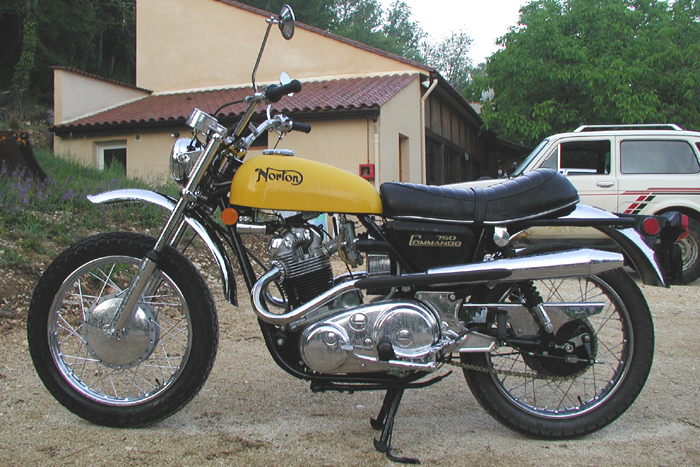 The Mk.lV in January 1972 brought a front disc brake and direction indicators. Production ceased in early 1973. The Fastback was never offered for sale with the 828cc engine. The Fastback Long Range is a rarely seen variant which was only in production for 2 years, from early 1971. It is estimated that only 400 or so were made during that time, a good number apparently being exported to Australia. 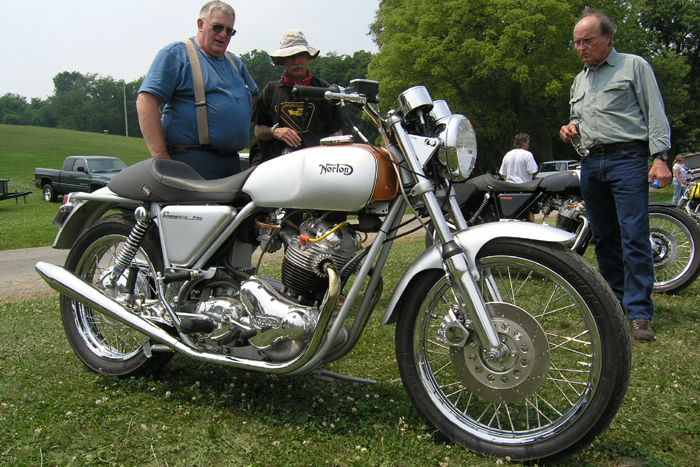 The machine was virtually identical to the Fastback model of the same era except for the larger capacity Atlas style petrol tank of a shape similar to that fitted to the old Slimline Featherbed frame models. The colour choices for the tank were red or green. 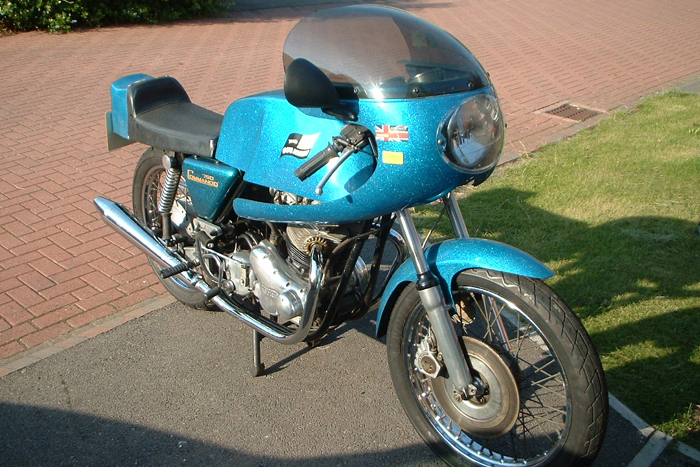 The dual seat was minus the side wings as fitted to the regular Fastback. 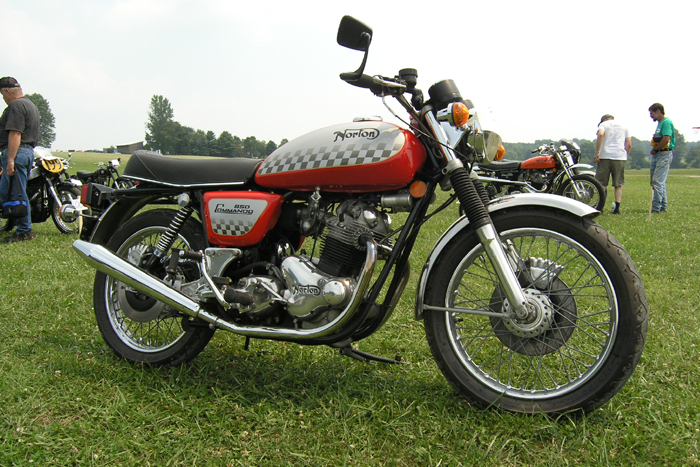 The 'R' Type was introduced at the same time as the 'S' and made its debut in March 1969. 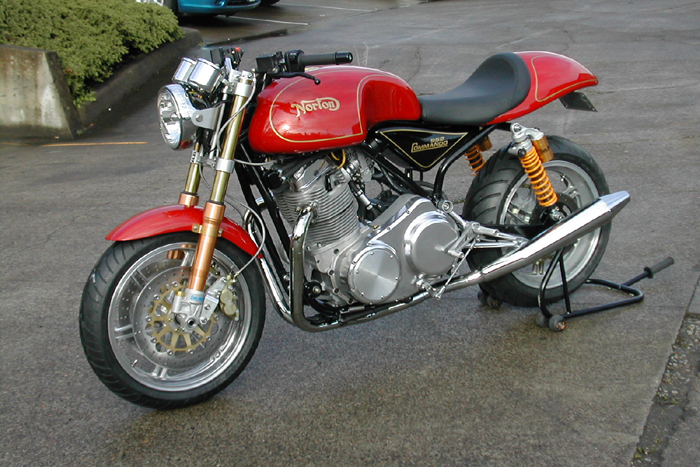 It was destined for the American market and was styled more as a street scrambler, owing something to the P11 and the Fastback but in some respects heralding some of the forthcoming Roaster design features. It had high bars and a small 2.25 gallon petrol tank, available in blue or red but a conventional dual seat unlike the Fastback type. It was in other respects, similar to the Fastback. The 'R' Type did not have the modified points drive from the end of the camshaft as on the 'S' Type, except for a few late machines. 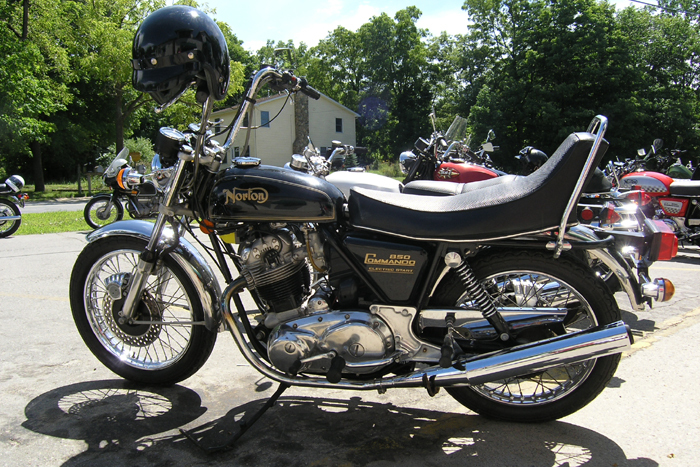 It was fairly soon removed from the range and today is a rare machine usually being found only in the U.S.A. The 'S' Type was introduced at the same time as the 'R' and made its debut in March 1969. 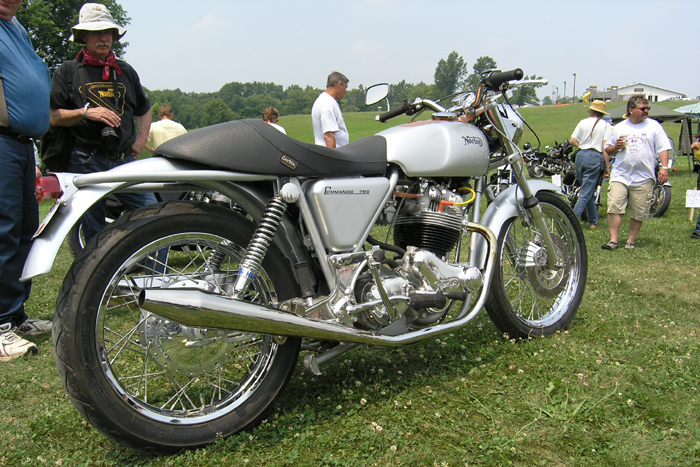 The styling is of a type more to American tastes than traditional British with the fitting of high bars, not a very large petrol tank, ungaitered forks, and a high exhaust system with both pipes on the left hand side of the machine. 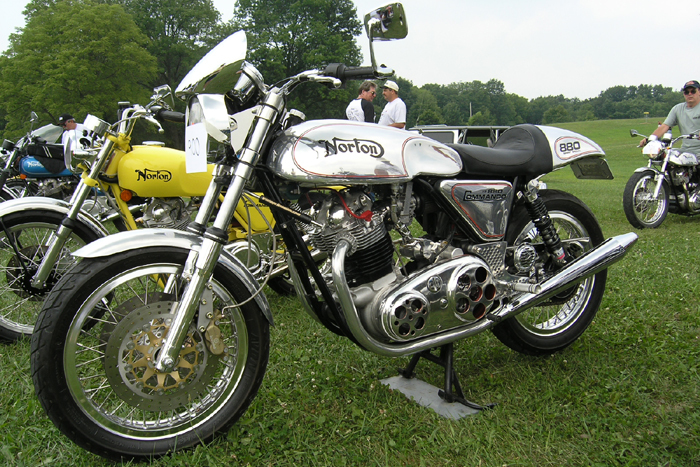 A shield was a necessary fitment over the pipes for the protection of riders. The exhaust line being a little shorter than that of the Fastback, gave the 'S' Type slightly different power characteristics. Other distinguishing features are a quilted finish to the dual seat and a chromed 'crash bar' around a smaller styled headlamp. The 'S' Type was also the first Commando to have the points driven directly from the end of the camshaft and hence the rev counter drive, which used to be in that position on the twins, moved around towards the front of the engine. The 'S' Type was the basis for the Roadster model which was virtually identical except for a low level exhaust. The INOA Tech Digest states that the 'S' Types fell within the range of Engine Nos. from 131257 to 135088. 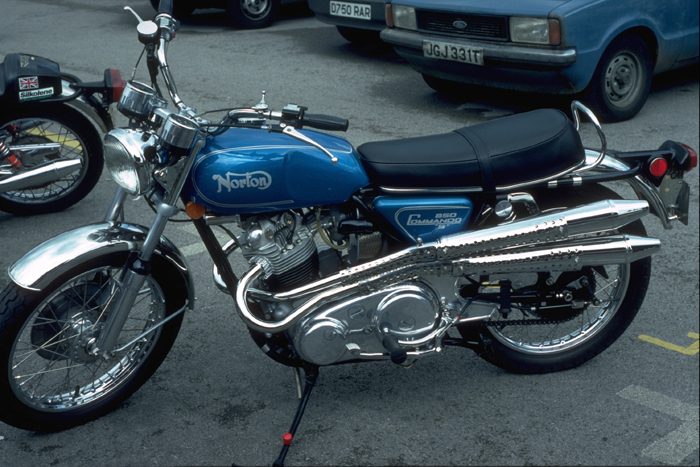 Some sources cite a factory release suggesting that dealers replace the 'S' Type exhausts with the more commonly found Atlas ones used on the early Commandos. 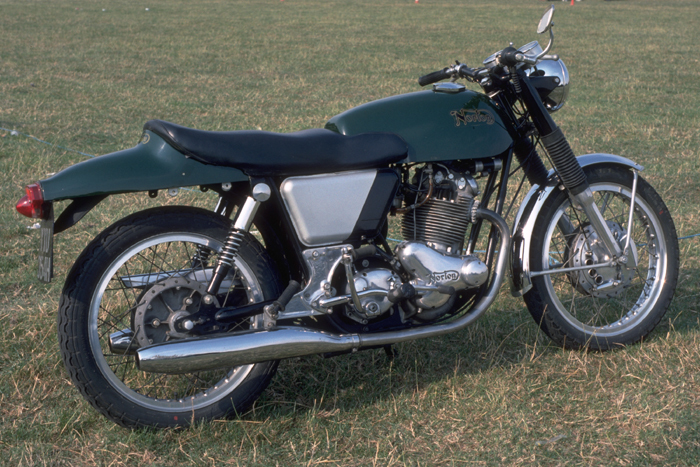 The 'SS' Type which was introduced in 1970 and ran until 1971 was essentially similar to the 'S' Type but had high level exhausts on each side rather than on the left hand side only. The INOA Tech Digest states that the 'SS' Types fell within the range of Engine Nos. from 145234 and 150723. 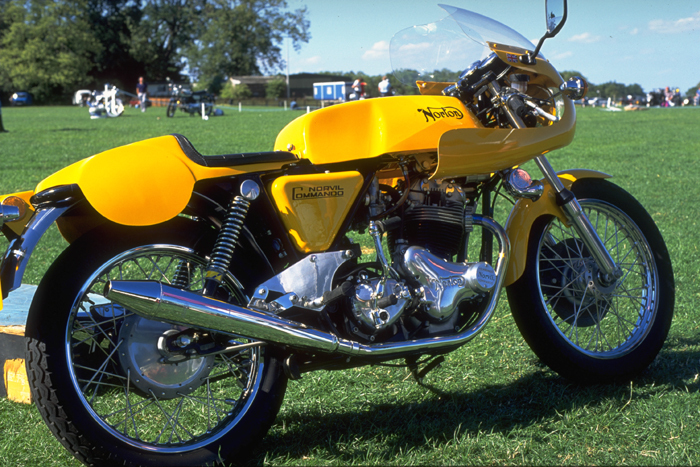 The original Production Racer of the early 1970s quickly became known as ‘The Yellow Peril’ on account of its yellow fairing, petrol tank and seat. 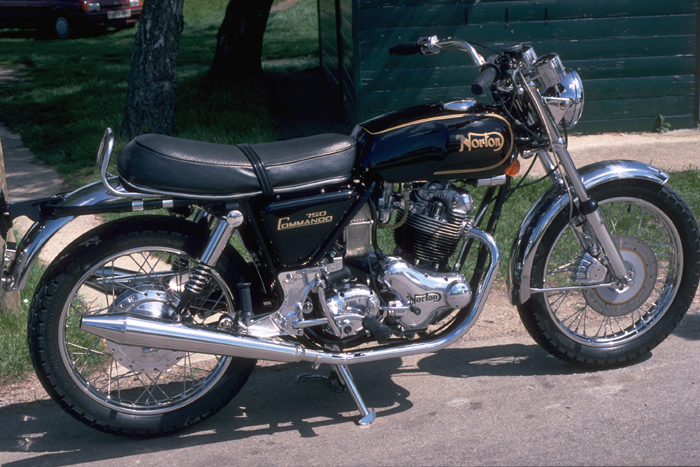 It was assembled in the performance shop at Thruxton, just a short way from the Andover factory. 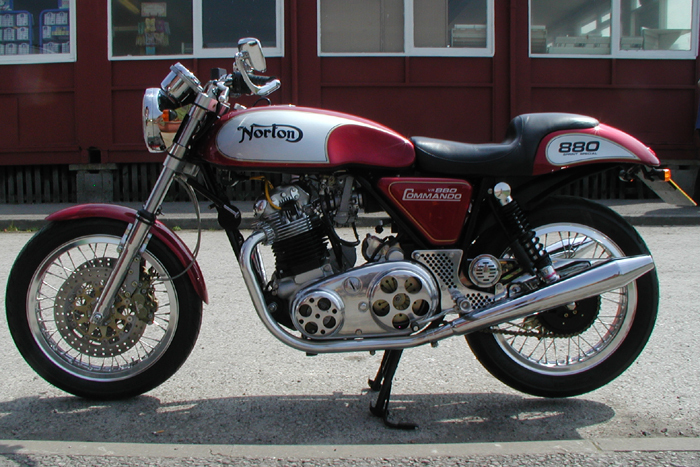 Fully kitted out for production class racing, the special parts used on the machine were sold under theNorvil brand name. The tuned up engine led to the hot Combat unit being used on the regular road bikes in 1972 with often unfortunate results. 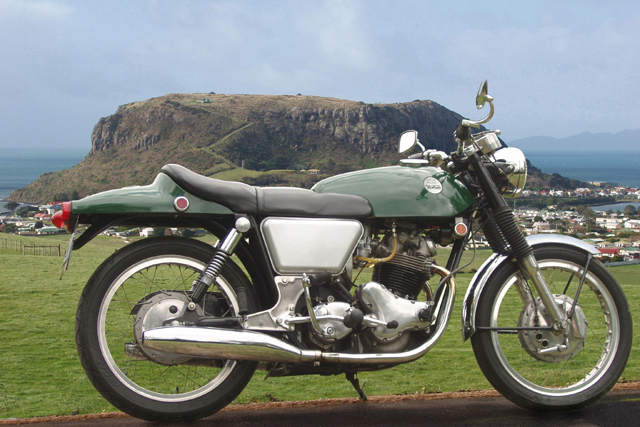 The Production Racer was not produced in great numbers and genuine examples are quite rare. Replica versions of these machines are still being manufactured and are available for purchase. The Roadster was introduced for the 1970 season and followed the 'S' Type of the previous year and the Fastback before that. It took its styling from the 'S' Type but with a conventional exhaust system and together with the Fastback became the mainstay of the range. 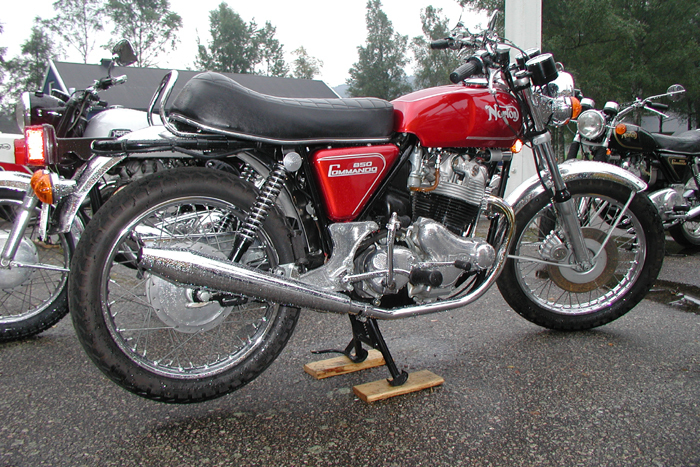 In 1971, a Mk.ll was announced, this having larger section tyres and a cush drive in the rear hub. 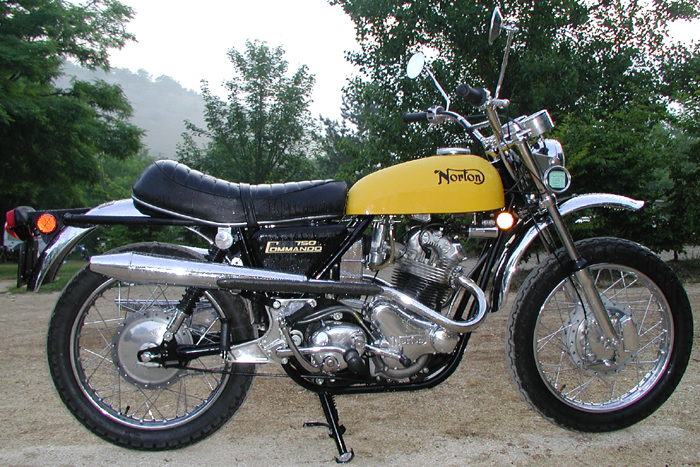 In 1972, modified crankcase castings were used, and a disc front brake was fitted. This was the same year in which the ill fated Combat engine made its appearance. The short working life of this engine, usually resulting in the total destruction of the main bearings, and the solution to the problem are well documented in the literature and the problem was overcome by the time the 1974 machines came along. 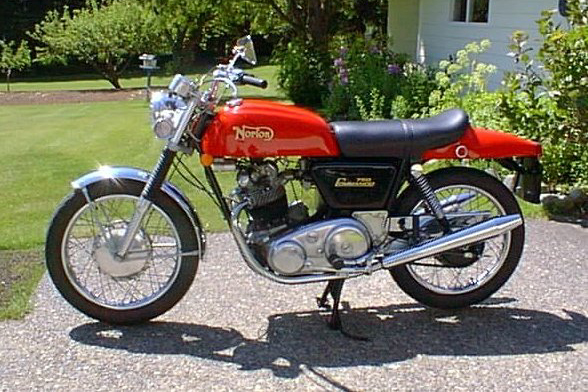 The 1973 Roadsters were fitted with the newly introduced 828cc engine and in 1975, there were major changes including electric start, vernier isolastic adjustment, left side gearchange, and a rear disc brake. Another unusual design like the 'S' Type and definitely aimed at the American export market. 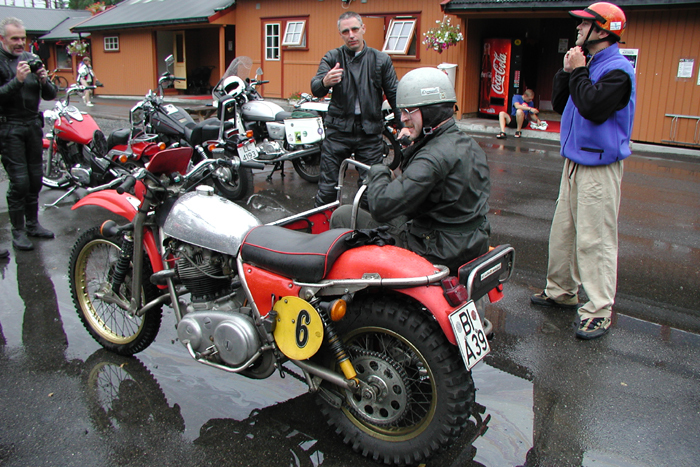 It had a conventional exhaust system but extremely raised handlebars together with an upturned rear seat and high grab rail. 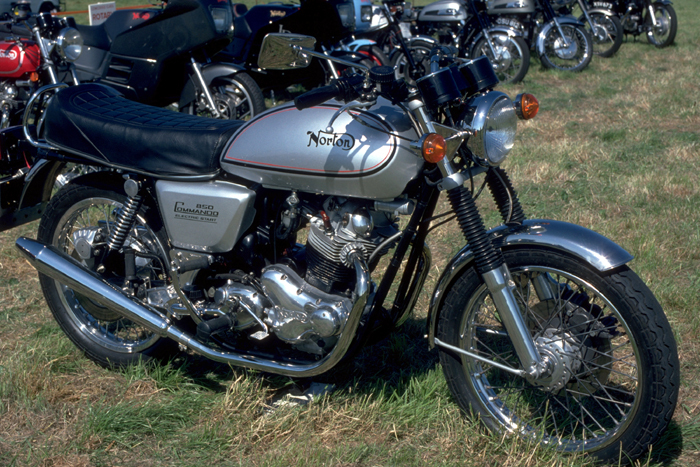 The 745cc Interstate first appeared in 1972, fitted with the hotted up 745cc Combat engine, which combined with slight under gearing gave sparking acceleration figures, but alas, reliability was not its strong point. It was also probably the most numerous of all Commando variants. 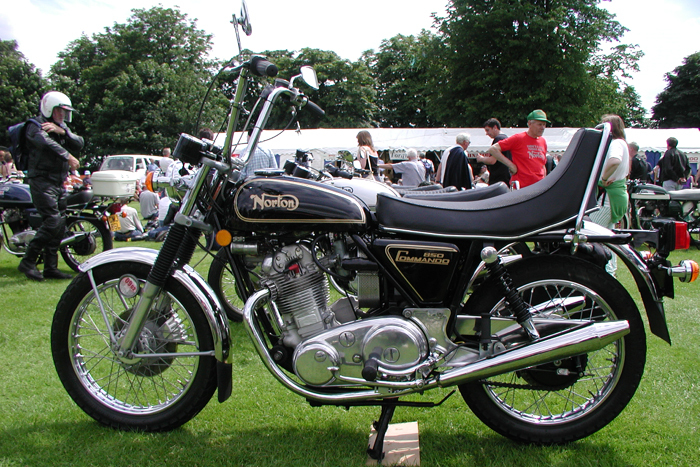 The 828cc version was introduced in 1973, having a lower compression ratio and generally more sensible state of tune than the previous 745cc Combat engine. It retained the same 89mm stroke but was overbored to 77mm. This meant a new barrel casting had to be used and featured through bolts as well as the usual flange studs and nuts. The facility to lift head and barrel as one lump was then lost. Another feature of the larger capacity machine was the strengthened gearbox shell around the bearing housing. The main difference from the Roadster was the 5.25 gallon petrol tank, this being made from fibreglass on early Interstates, but later in steel, to conform with UK legislation. Its capacity was later reduced in the Mk.lla to 4.5 gallons. 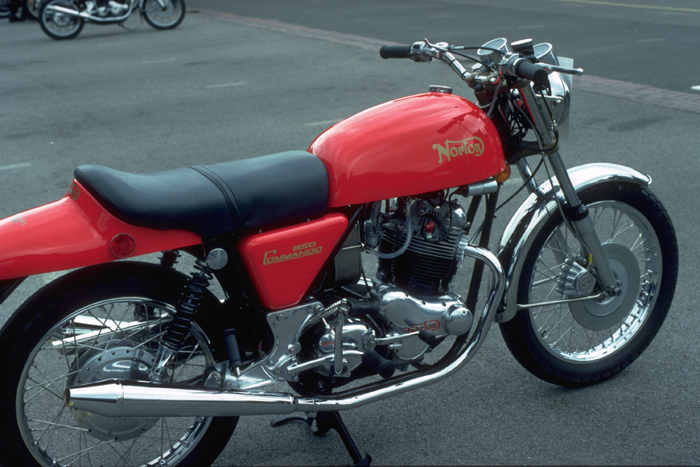 There were numerous changes in 1975 when the Mk.lll was introduced; a rear disc brake was fitted, and the front disc assembly moved over to the left fork leg. 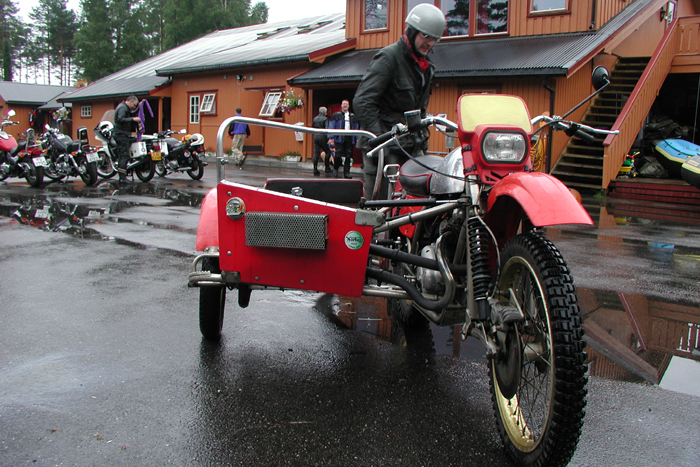 An electric starter was incorporated onto the back of the primary chaincase and the gearchange and rear brake brake pedals swapped sides to conform with U.S.A. import requirements. Vernier adjusters on the Isolastic system were used at last, having been envisaged in the original 1967 design but not put into production. Production terminated in 1977 although a small batch was assembled in 1978. 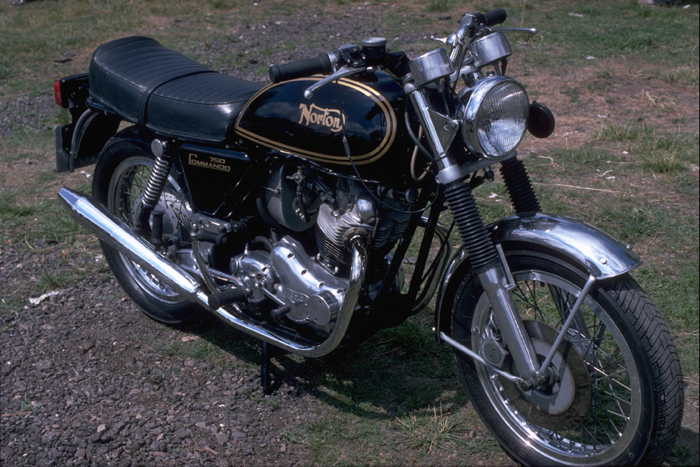 The John Player Norton was produced in limited numbers over a span of some two years, around 200 machines being made. 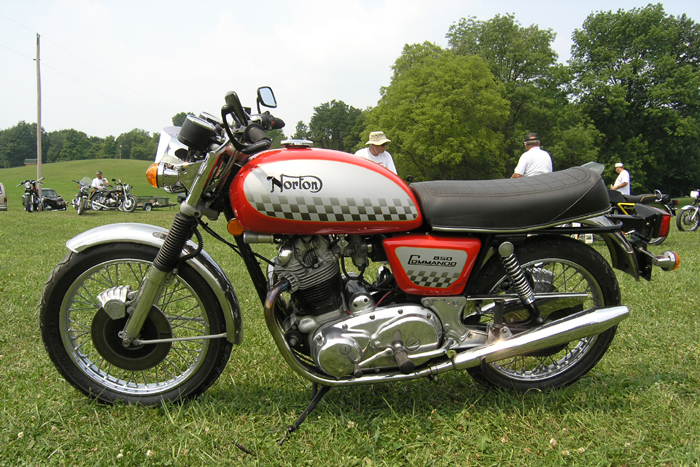 It took its styling and its name from the successful factory racing machines sponsored by the tobacco company. 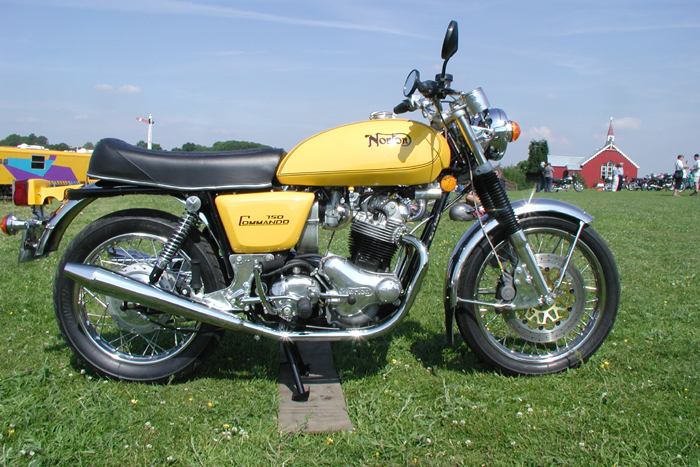 Although it looks super fast with its racing fairing, twin headlamps, rearset footrests and single seat, underneath the fairing was a completely standard Commando engine which prompted some unkind person to once describe it as a sheep in wolf's clothing. 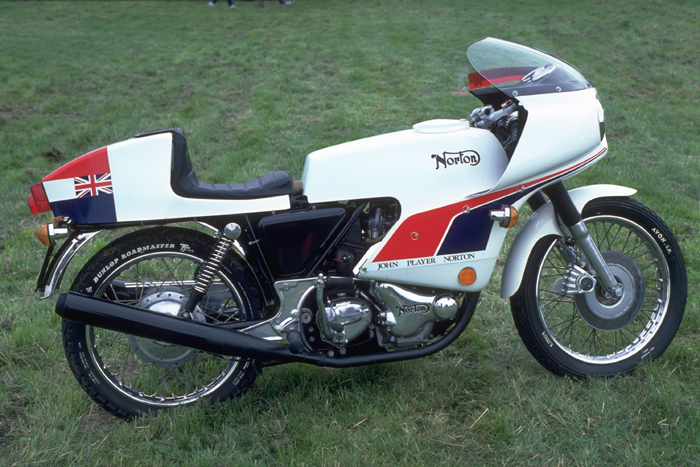 For people who really wanted to go racing however, the factory did produce a very small number of ready-to-race short stroke 750cc engines with a bore of 77mm and stroke of 80.4mm. Today, these are naturally even scarcer than the road going JPN, itself something of a rarity. 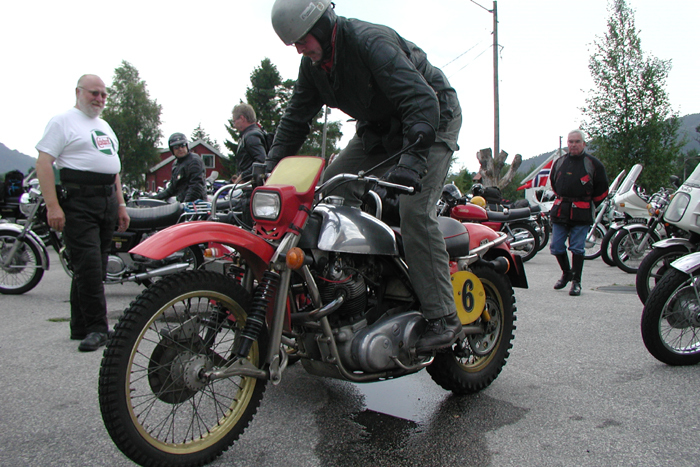 With far more people liking the styling of the machine than available examples, it is perhaps not surprising that many have undertaken to convert their standard Commando via the fitting of the readily available special parts needed. The outcome of this is that there are probably now more copies about than genuine articles. Designed by Neale Shilton specifically for the police in home and export markets, the Interpol is one model that nearly didn’t get made, but went on to become one of the longest running Commando models. 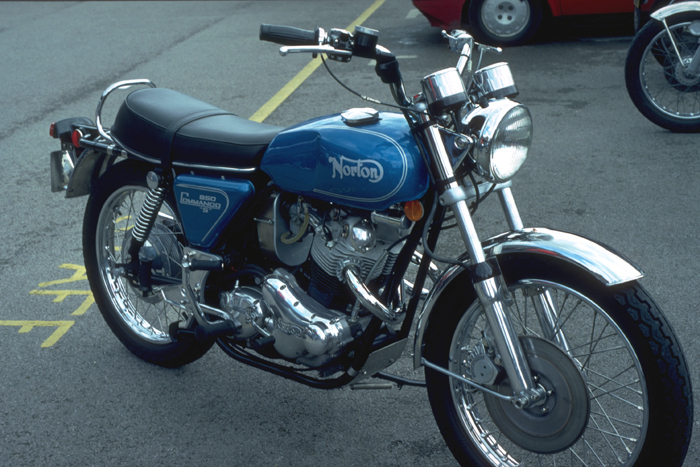 It was unveiled in 1969 and produced from 1970 to the end in 1976. 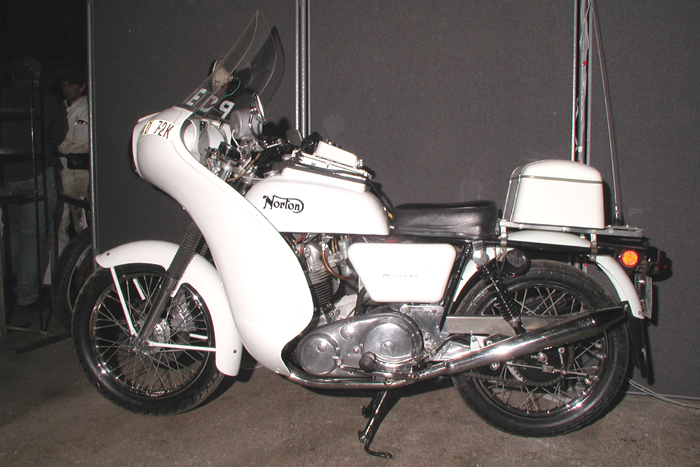 Based mainly around standard machines with some special parts, its trade-mark was the white paintwork and addition equipment for police work, including fairing, tank, seat, lights and horns. 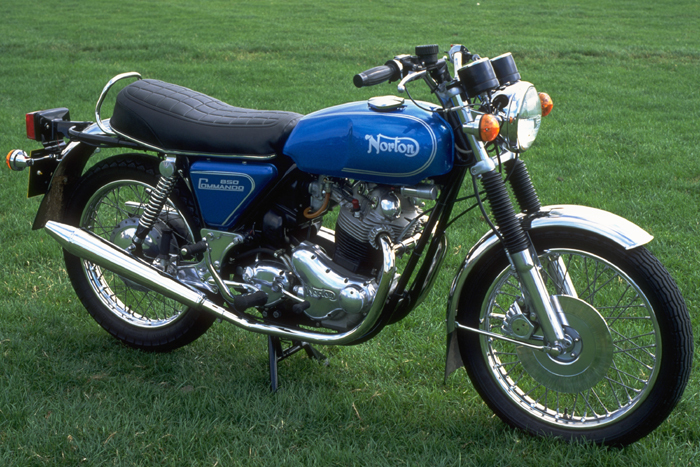 By September 1975 the final form was reached and no more development done as the model was discontinued in 1976. 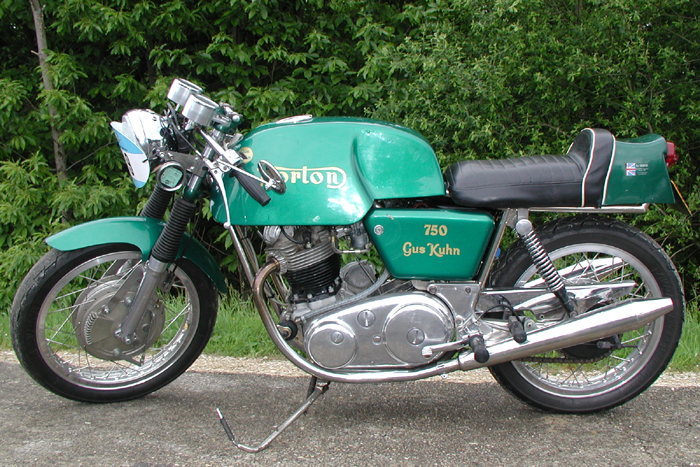 The London firm of Gus Kuhn was a large Norton dealer who did a lot of work customising Commandos. 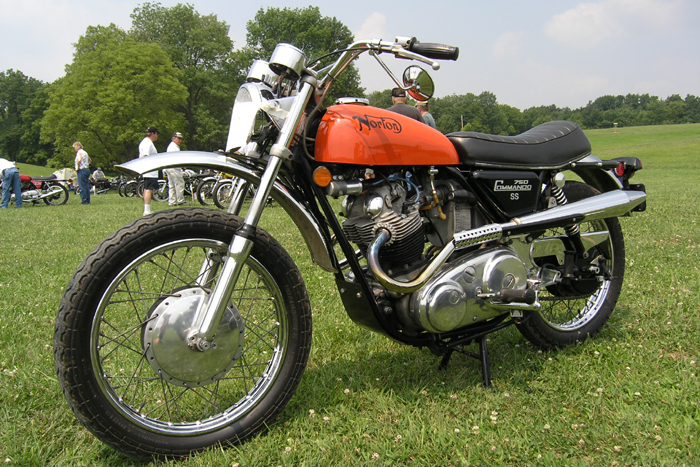 The Wasp was a Commando engined trials outfit. The example shown has the chair mounted on the side appropriate to Continental Europe and has had lighting added for on-road use. 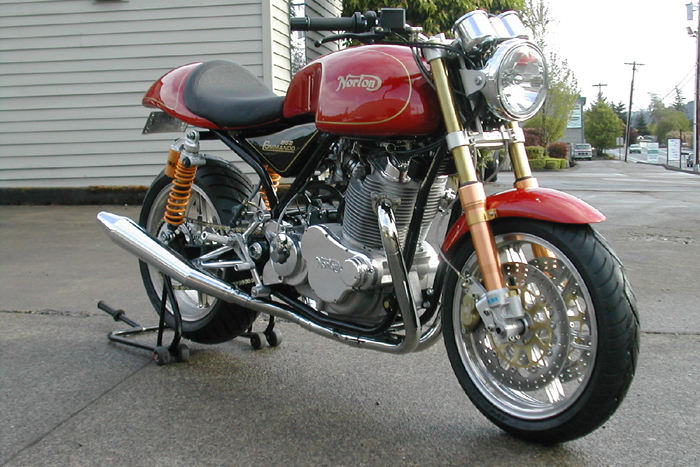 The VR880 was the creation of Kenny Dreer, then operating as Vintage Rebuilds in the United States. 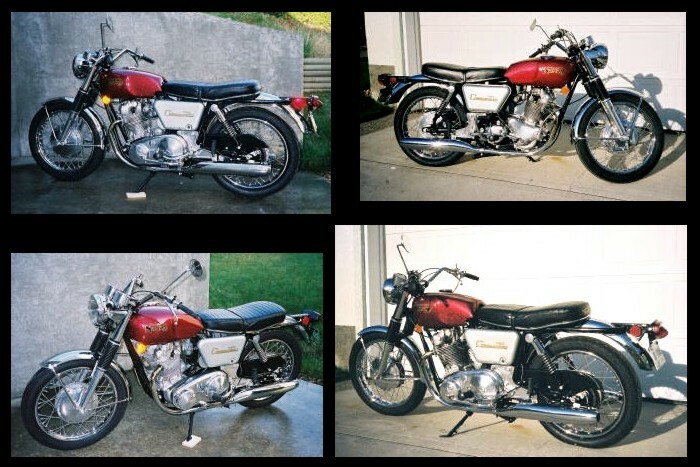 It incorporated a considerable number of newly machined parts and other improvements to make a performance machine rated at 70 b.h.p. at the rear wheel. 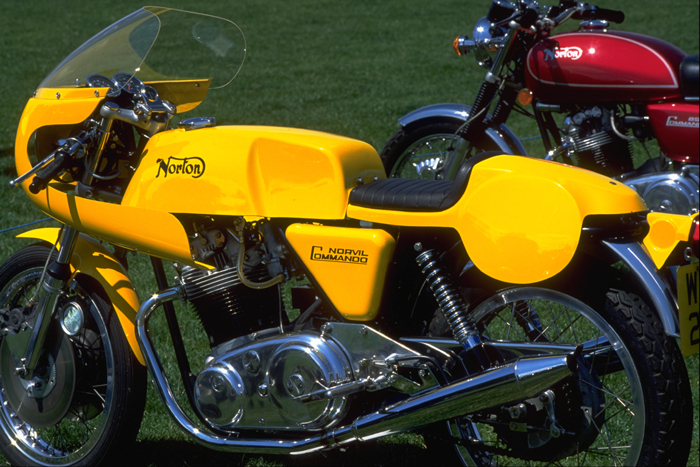 The Norton 952 Commando was again the brainchild of Kenny Dreer, but never made it past the prototype stage. 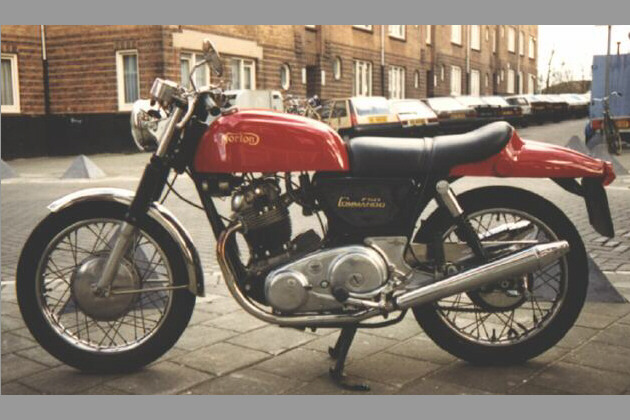 Although ostensibly simting in the 961 Commando series.ilar to the original Commando, the machine was designed from scratch and included a vast number of modifications to the old design, making it a new bike altogether. 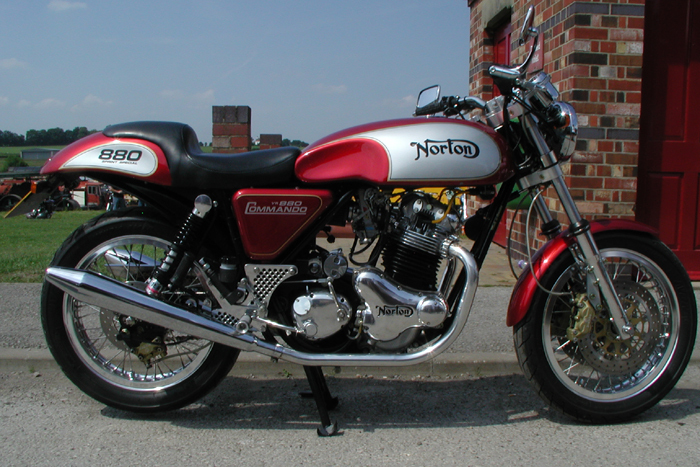 The prototypes were purchased along with the business by Stuart Garner's Norton Motorcycles (UK) Ltd and formed the basis for further redesign culminating in the 961 Commando series.